Did you know that small and medium-sized business (SMBs) are vital to a strong economy? According to Dun & Bradstreet, they contribute $5.5 trillion in annual revenue in North America. Small Business Owners are always trying and testing out different forms of advertising and marketing in order to increase their profits and social media is playing a vital role in that. LinkedIn partnered with TNS for a study that surveyed 998 North American small and medium business professionals with revenues between $1 million and less than $50 million for it’s study Priming the Economic Engine: How Social Media is Driving Growth for Small and Medium Businesses. 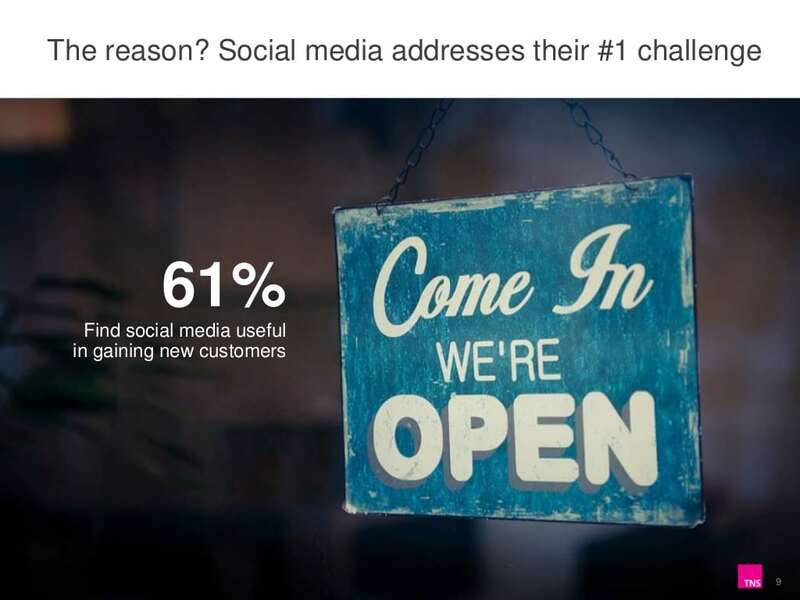 8 out of 10 SMBs use social media to drive their business. 81% percent of SMBs we surveyed use social media, and of this group, nearly all of them (94 percent) use it to market their businesses. However, 49 percent of these SMBs also see social media as a valuable source for learning about their markets and about growing a business – for example, they use social media to connect with their peers, discover best practices, learn from other experts, and get answers to their business questions. We saw a high correlation between hyper growth SMBs and their investment in social media, as seventy three percent of hyper growth SMBs reported an increased spend on social media. Additionally, they are finding social to be a highly effective way to maintain brand presence and identity (90 percent) and a meaningful source of lead generation (82 percent). Download the white paper on LinkedIn. Are you using social media to grow your business? Let us know in the comments below.